Bollywood Perfectionist Aamir Khan joined hands with Big B Amitabh Bachchan for ‘Thugs of Hindostan’. Touted to a period drama set in 1795, the movie runs with a backdrop of pre-independence times. Katrina Kaif and Fatima Sana Shaikh played the female leads in the movie. This star-studded high-budget movie has been grabbing the attention of the audience ever since the day it got launched. The expectations grew over time and ending the long wait, the movie has finally made it into the theatres today on November 8th. Did the movie succeed in reaching the expectations? Let’s see..
Set in the pre-independence era in the times of the British East India Company, the film narrates the tale of rebellious Indian freedom fighters & cunning informants who are fighting for their freedom from the British. A rebel Azaad (Bachchan) wants to out an end for British and British commander John Clive sends Firangi (Aamir), an untrustworthy thug to counter the threat. What happens then forms the story of the movie. Amitabh Bachchan’s brilliant performance has been a delight to watch. He has nailed his character and gave his best. The intense war scenes in which Amitabh surprises the audience with his sword fights are the highlight. 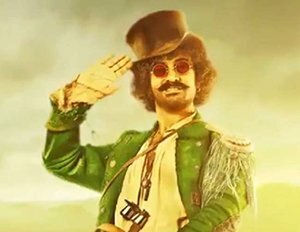 Aamir Khan got a mischievous, quirky and witty role in this film and more than Aamir, we can see Firangi Mallaiah in him. He gave his 100% in justifying the role and he sure delivered a stupendous performance. Katrina Kaif is a visual feast for the glamour lovers. She looked beautiful and her killer dance moves will make us awestruck. Fatima Sana did a good job. She delivered a decent performance in the film as a warrior. She has improved a lot when compared to her previous flicks. Lloyd Owen did a great job. His performance is superb. The rest of the cast also made their presence felt. 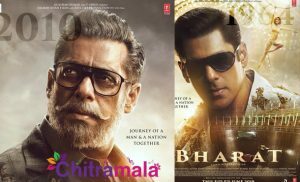 The production values by Yash Raj Films are lavish and the producers have invested huge amounts to give high-quality output. The music by Ajay-Atul is good and the background score given by John Stewart Eduri is top notch. Cinematography by Manush Nandan is awesome. His camera angles are amazing. Editing by Ritesh Soni is superb. The runtime is bearable. The visual effects used for the film deserve applause. The biggest saving grace of the film is the visual grandeur of the film which is an absolute delight. More than the story, the way the characters are designed is boring in the film. The film appears slow and fails to impress in all the key sequences. The story has a bunch of twists and turns which are inappropriate and hence it fails to engage the audience and make them yawn throughout the movie. The relation between each character is not established properly. The director Vijay Krishna Acharya’s slow-paced narration irks us a lot. The first half of the film is lengthy with almost 90 minutes.The film was made on a grand scale which is an impressive aspect. The action sequences are stunning but content wise, the film is poor. The film engages on and off and loses the pace constantly. The content is the major minus point in the movie. 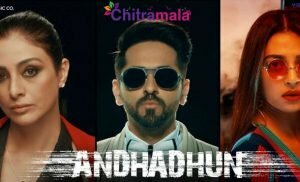 With a gripping less tale, the director just tried to sell off the film with its faces and after a long time a film from Aamir Khan disappoints us at the box office. On a concluding note, the film might please the single screen audiences but it completely failed in catering the hopes of the larger section of the audiences at the box office.